born April 25, 1943 in Monterey, California, is a poet, mail artist, and blogger who is best known for his autobiography Alex in Movieland, an experiment in list poems. Gildzen grew up in Elyria, Ohio, graduating from Elyria High School in 1961. He then enrolled at Kent State University, earning a BA in journalism and an MA in English in 1966. 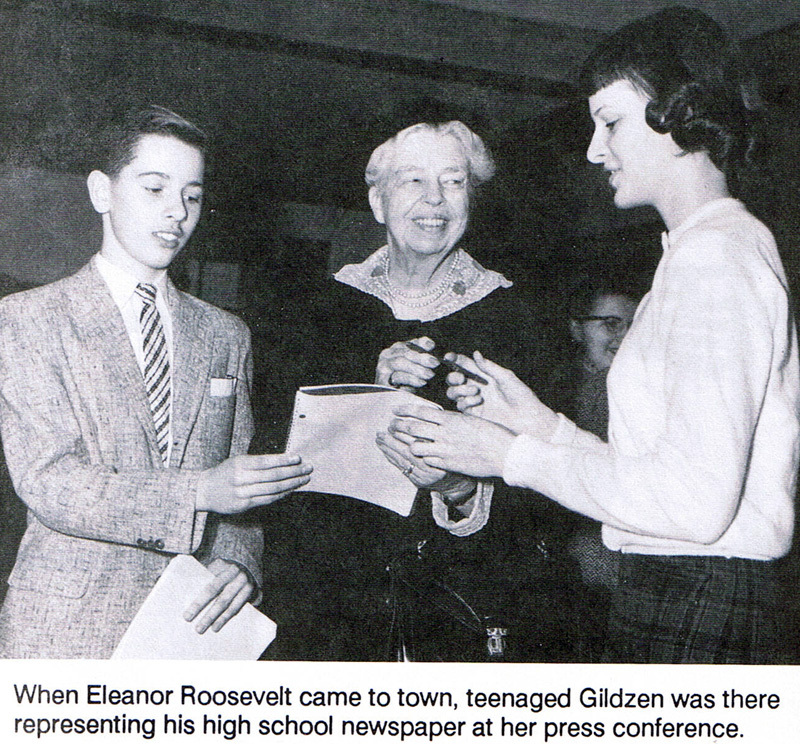 Gildzen then took a position with the University News Service department, covering the university’s cultural scene. He was on the Commons on May 4, 1970 when four students were killed by the National Guard during an anti-war demonstration. After that event, Gildzen decided to make a career change and was hired by then-Curator Dean Keller to assist him in the univeristy library’s Special Collections Department in 1971. During his tenure in Special Collections, Gildzen acquired the archives of the Open Theater, as well as the papers of its director Joseph Chaikin and major playwright Jean-Claude van Itallie. He also acquired the papers of Group Theater member Robert Lewis, film historians Gerald Mast and James Robert Parish, and silent screen star Lois Wilson. He retired as Curator in 1993 after thirty years of service at Kent State. 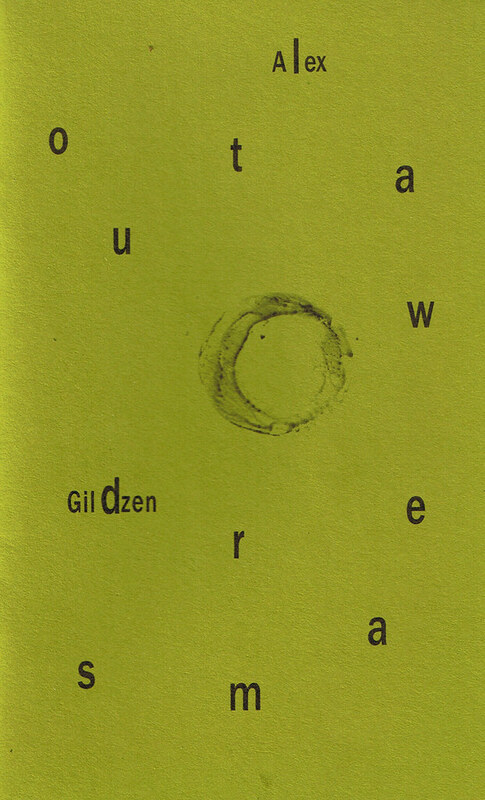 Gildzen’s first book, Into the Sea, was published by Abraxas Press in 1969. His selected poems The Avalanche of Time was published by North Atlantic Books in 1986. He became involved in mail art in the 1970s and produced a number of works, notably Postcard Memoirs. He visited Santa Fe for the first time at the end of 1990; he moved there four years later. During the1990s, Gildzen produced a pop music concert and AIDS benefit and had two of his plays produced. Since his retirement, he has continued a robust career as a poet and mail artist, particularly utilizing the Internet as a medium. His blog is “Arroyo Chamisa” and he appears on You Tube in videos reading his work. One of the legendary figures in the underground poetry movement. Alex Gildzen has a long list of chapbooks – from Into the Sea (Abraxas Press 1969) to Outlaw Dreams (Green Panda Press 2008). This 1993 festschrift presents the first bibliography of his writing as well as the catalog of his papers. It includes tributes from – among others — artist R. B. Kitaj, composer Ned Rorem, parapsychologist Stanley Krippner and writers Tom Beckett, Gwendolyn Brooks, Edward Field, Paul Metcalf, Todd Moore, Samuel M. Steward and Thrity Umrigar. This book, printed by Commercial Press, Kent, Ohio, is published in an edition of 500 copies. For assistance in research and production, the editor thanks Al and Helen Kovach Gildzen, Barbara Bass, Nancy Birk, Margaret Garmon, Gale Graham, Gary Falstad, Ira Joel Haber, Dean H. Keller, Dotty Lane, David W. Meredith, Susan Weaver and The Elyria Public Library. 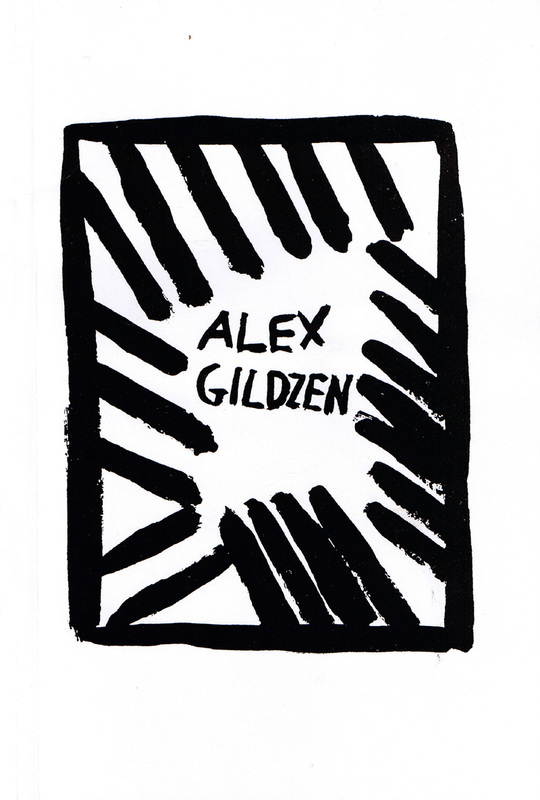 The cover features Gildzen’s bookplate which was designed by artist Ira Joel Haber. This small 2007 broadside from the prestiguous Costmary Press was produced in a signed numbered edition. Gildzen’s recent book IT’S ALL A MOVIE is availble here. In addition to a series of cinema-inspired poems the book features a year from his audacious autobiography Alex in Movieland. There is also a section called “my first movie” which includes contributions by Eric Bentley, James Broughton, Quentin Crisp, Richard Harrison, Thomas Meyer, Jonathan Williams and Regina Yando. Want to know Marilyn Monroe’s measurements? Or the first movie Jonathan Williams saw? Alex Gildzen provides answers in this unique book about film. His long love affair with cinema is reflected in a collection which brings together some of Gildzen’s recent poems, photographs of him with Hollywood legends such as Sylvia Sidney and Samuel Fuller, prose dating back to 1985 and a year from his important autobiography in progress Alex in Movieland.